12,000 Litres/Hour Flow Rate / Max Vertical Lift of 5.0 metres. Outstanding energy efficiency, perfect for continuous operation (only 110 watts power consumption). 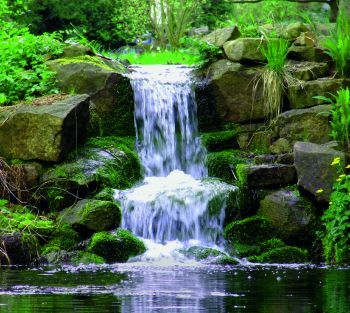 Seasonal Flow Control (SFC) will further reduce electrical consumption by up to 25% in cooler water. 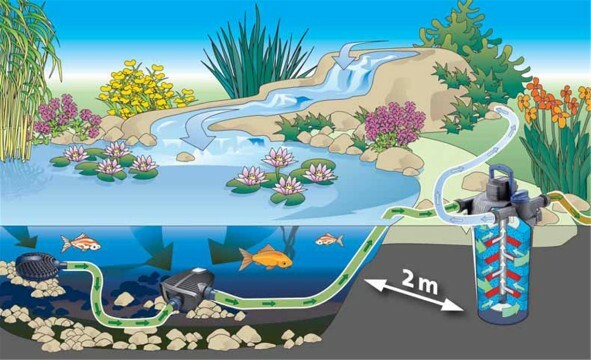 Ideal for connection to a pond filter system as solid waste of up to 11mm can be passed. Capable of operating in temperatures as low as -20 degrees Celcius. 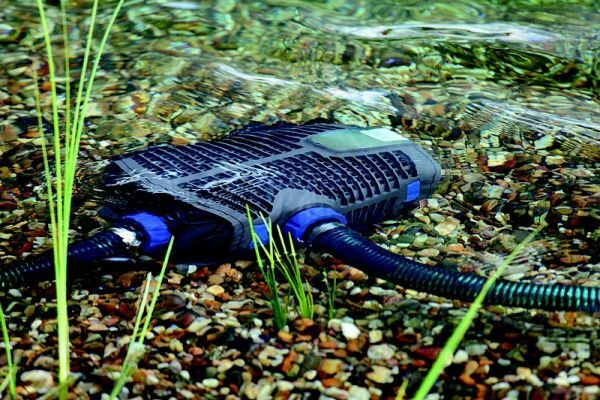 Ultra quiet operation and can be dry mounted (flooded suction) or continuously submersed. German engineering ensures precise and reliable operation. 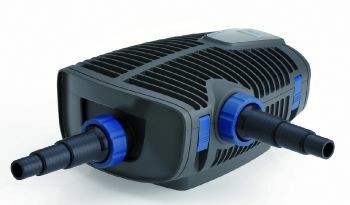 11mm Solids-handling submersible pump, ideal for ponds, pond filters and watercourses. Supplied complete with multi-stage straight hosetail connector, allowing connection of 1" (25mm), 1 1/4" (32mm), 1 1/2" (38mm) or 2" (51mm) flexible hose. Oase Aquamax Eco Premium pumps replace the highly successful Aquamax Eco Pro range of pond filter and watercourse pumps. 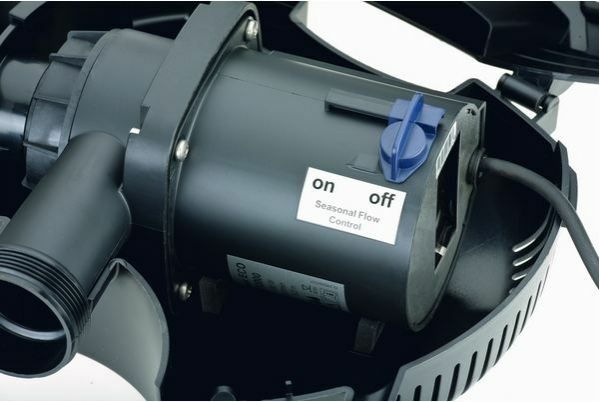 11mm solids handling and optimized pump impeller offers great pump performance; energy efficient Oase Eco motors achieve power savings of up to 25%. A special pivotal ball joint facilitates multistage hose connection. 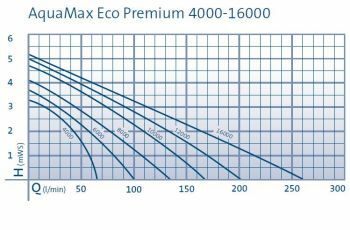 Aquamax Eco Premium range includes Oase unique patented Frost Protection Technology which allows the pump to over-winter in temperatures down to - 20°C; whilst Environment Function Control (EFC by Oase) protects against dry running and blockages. 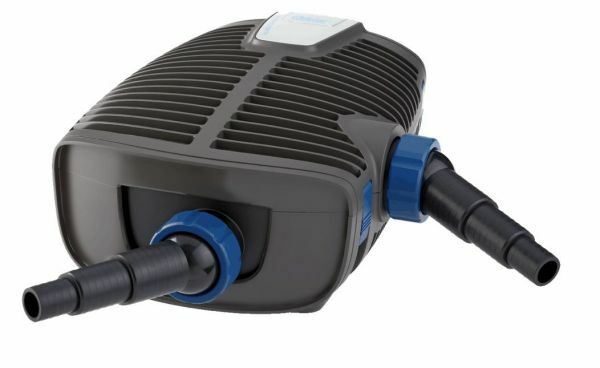 The Aquamax Eco 12000, 16000 and 20000 pumps include a Seasonal Flow Control (SFC) function switch which enables reduced flow and (up to 30%) less power consumption during low temperature conditions. All pumps include a secondary inlet, providing connection to an optional Satellite Strainer or Skimmer to improve circulation from all pond areas. 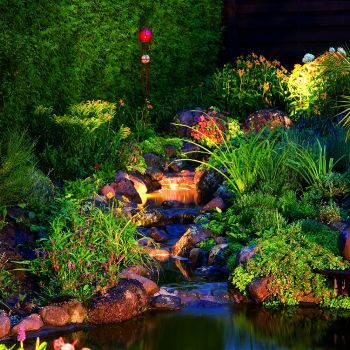 Additional peace of mind: The standard guarantee of 3 years can be extended by an additional 2 years, free of charge on request for a total of 5 years. This has made all the difference to the clarity of the water. I can't believe the difference. The product is well made, comes with a long term guarantee & looks like a very good product indeed. 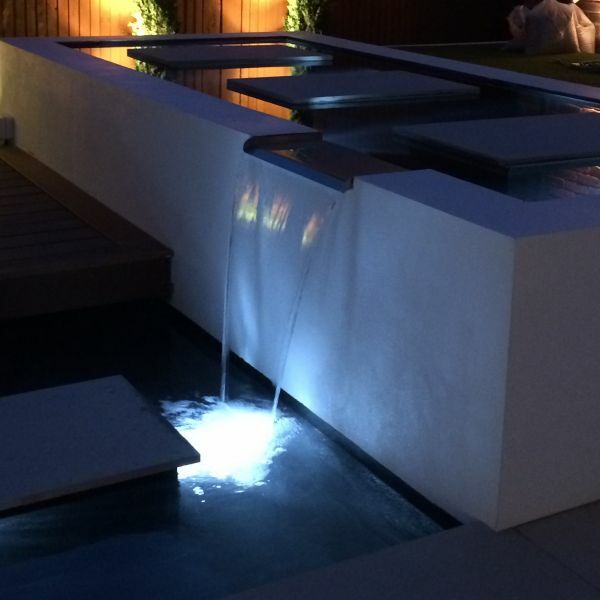 Great product, delivers high flow for very low energy use. Connection for Hoses 1", 1 1/4",1 1/2" 1", 1 1/4",1 1/2", 2"
The guarantee of 3 years can be extended by an additional 2 years free of charge on request for a total of 5 years. 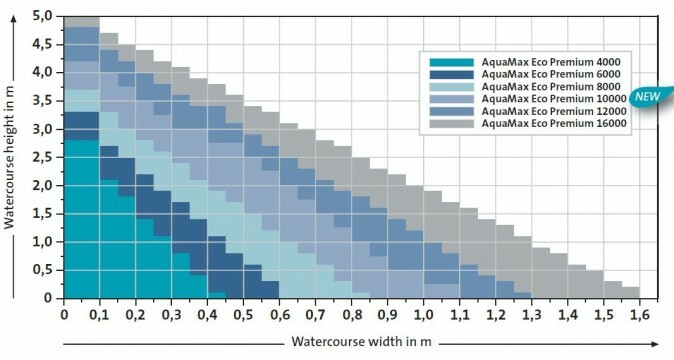 Pump Performance Curves for the OASE Aquamax Eco Premium pump range (4000 - 20000 Litres/Hour). 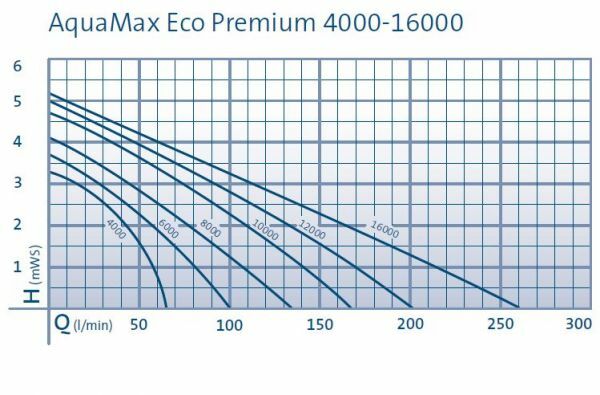 Aquamax ECO Premium pump performance curves. 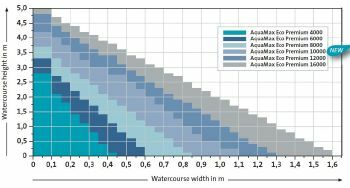 Watercourse Pump Selection Diagram for Aquamax Eco Premium Pumps.